SUPSmart Waterproof Drybag w/ Lanyard | FREE SHIPPING! Paddle with peace of mind while having your valuables on board with you. This waterproof bag keeps your valuables dry and safe with you. 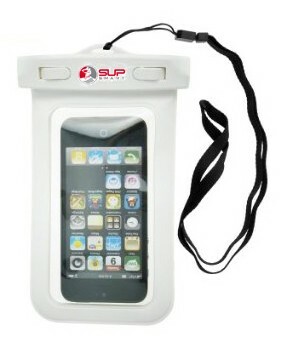 Now you can take along your electronics, phones, keys, and cash on all your paddleboard journeys! Most electronics still function perfectly while enclosed in the bag and it even floats! Lanyard attachment and FREE SHIPPING Included!